Many people think of avocados as a vegetable, but they’re actually a type of fruit (you’ll commonly find them in fruit salads in some countries) and more specifically a berry because they have a seed and soft flesh. If you’re interested in this little piece of general knowledge, you should also know that tomatoes are also classified as berries, but strawberries aren’t! The avocado is thought to originate from Mexico of course – what else would you expect from the home of guacamole and other delicious foods? 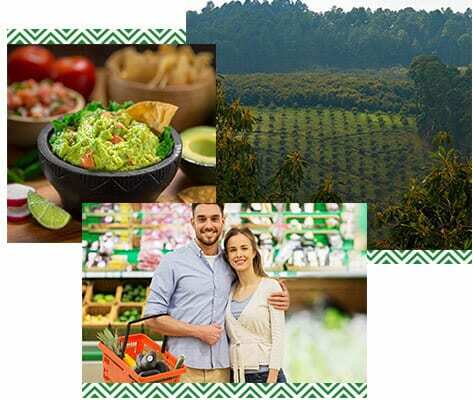 Avocados are now grown all over the world where the climate is right (mainly in the tropics and Mediterranean countries); but the most delicious avocados still come from Mexico, where they soak in energy from the sun and absorb nutrients from the rich Mexican soil. Because it is a source of good fats, with its creamy texture, and mild flavor, avocados are a very flexible ingredient that can be used in many different types of dishes. Fresh avocado doesn’t only taste great, it’s also a nutritional powerhouse. Read on to find out more about the benefits of avocado and what makes it so healthy and nutritious. Avocados are called a superfood for good reason: they’re like the comic book heros of fruits! Avocados contribute unsaturated “good” fats, and good fats can help the body absorb fat-soluble nutrients Vitamins A, D, K, and E. Healthy avocados contain 6g of naturally good fat per serving – one-third of a medium avocado. Good fats help the body absorb fat-soluble nutrients without raising LDL (“bad”) cholesterol levels when eaten as part of a healthy diet. The average avocado weighs 150 grams (g) and contains 240 calories, or 80 calories per 50g serving. If you’re watching your weight and thinking about striking avocado out of your diet – don’t! The extra calories in an avocado are well worth the nutritional benefits. 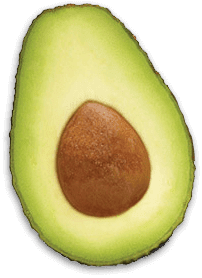 The main reason that avocado calories are higher than other fruits is because they’re high in fat with about 90% of calorific energy coming from fat. Again, don’t panic! High fat doesn’t mean bad as we’ll explain in a minute. An average, medium-sized avocado contains 24g of fat, which is the highest fat content of any fruit. 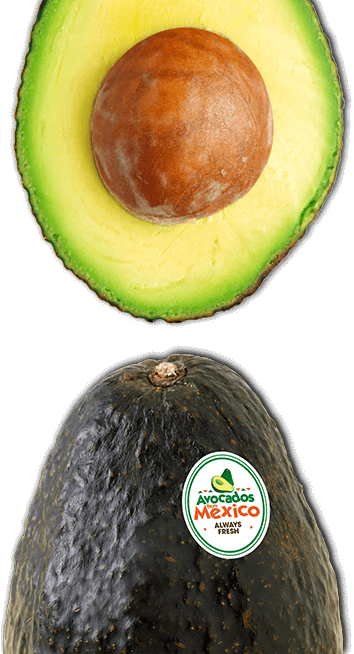 Most fruits have a high carbohydrate content and only a trace amount of fat, but the avocado likes to be different and switch things around. 75% (18g) of that fat is good, monounsaturated fat. The fat content of avocados is what makes their flesh so creamy (and means you can blend them up into the most delicious ice cream). If you think all high fat foods are bad for you, think again. 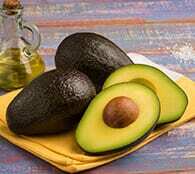 Most of the fat in avocados comes from fatty acids called oleic acid. This is a monounsaturated fat that is also the largest component of olive oil. Dieticians often call monounsaturated fats “good fats” as they have so many benefits to the human body. Avocados have 6g of monounsaturated fat which makes them virtually the only fresh fruit with good fats. They can be a delicious way to help people meet the Dietary Guidelines recommendation to limit calories from added sugars and saturated fats by replacing saturated fat with good fats. The good fats in avocados helps the body to absorb vitamins A, D, and K, and E. They contribute 6g of naturally good fat per 50g serving, one-third of a medium avocado. Over 75% of fat in the avocado is unsaturated. According to the Dietary Guidelines for Americans, replacing saturated fats with unsaturated fats can reduce bad cholesterol in the blood and help the body to process fats. The next time you reach for a stick of butter or jar of mayonnaise, consider reaching into a fruit bowl for an avocado instead. Whether using it for baking in lieu of butter or as a creamy dressing for a sandwich, avocados can provide an excellent (and delicious) way to reduce your intake of calories, fat, saturated fat, sodium and cholesterol. As you can see from the table above, avocados don’t contain any cholesterol, which is great news for your health. They actually contribute a substance called phytosterols to ones diet. They have 38 milligrams of betasitosterol per 50g serving, Beta-sitosterol is one of the three predominant phytosterols found in plants. These compounds may help maintain healthy cholesterol levels. Phytosterols are plant sterols naturally found in plants that are molecularly similar to animal cholesterol. In the intestine, research has shown that they can act to lower the absorption of cholesterol. According to the FDA, 2 grams of phytosterols per day may help maintain healthy cholesterol levels. Not all cholesterol is bad – the human body needs cholesterol to function properly, however some foods (those high in saturated fat) raise the levels of bad cholesterol in the blood. If you’ve been paying attention, you’ll know that the fat in avocados is monounsaturated and polyunsaturated, which are known as good types of fat and does not raise cholesterol levels. Eating sources of good fats in place of saturated fats is also recommended by the American Heart Association to help control cholesterol levels and reduce the risk of cardiovascular disease. One way you could do this is by using mashed avocado in sandwiches instead of spreads that are high in saturated fats. Vitamin B9 – Folate – important for producing new cells and supporting the nervous system. It’s particularly valuable in pregnancy to ensure the health of the growing fetus. Avocados are a good source of folate per 50g serving, one-third of a medium avocado. 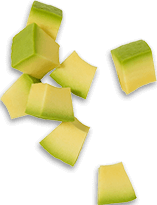 Avocados are the lowest sugar fruits as they contain only a trace amount of sugar – little enough to be officially classed as “sugar free”. The Dietary Guidelines for Americans and the American Heart Association recommend eating less nutrient-poor foods, and limiting the amount of saturated fat, trans fat, added sugars and sodium consumed. As you probably know, protein is an important part of your diet as the body needs it to build and repair tissues. This is why you’ll see body builders drinking protein shakes after a big workout. When combined with eggs, avocados also make a great post-workout snack. 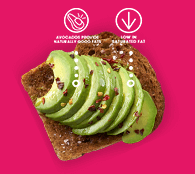 In addition to providing 1 gram of protein, avocados are a good source of fiber (11% of the Daily Value per 50g serving) and contain 5 g of monounsaturated fat. Eggs provide the additional high-quality protein that encourages muscle tissue repair & growth. Perfect for providing your body with the nutrition it needs to recover and build those muscles! Most fruits are high in carbohydrates, but the avocado is actually a low-carb fruit, contributing 4g per 50g serving. More importantly, only a trace amount of this carbohydrate is sugar, and the rest is fiber—more on that below. As mentioned previously, most of the carbohydrate content of avocados comes from fiber. A one-third serving of a medium avocado (50g) contains 3g of fiber, or 11% of the recommended daily consumption of fiber. Fiber is essential in the diet to ensure good digestive health and help keep one feeling fuller longer. Dietary fiber from fruit, as part of an overall healthy diet, helps reduce blood cholesterol levels and may lower risk of heart disease. Healthy avocados are a good source of fiber (11% of the DV) and are a great way to add variety to the diet. Consuming fruits and vegetables that are rich in fiber like avocados may reduce the risk of heart disease, obesity, and diabetes and protect against the risk of certain cancers. Unfortunately, according to the Dietary Guidelines for American, fiber is one of the under consumed nutrients. Avocados are a good source of natural fiber, which has the added benefit of making you feel full and can help prevent overeating. Hopefully by now you should see that avocados shouldn’t be judged on their calorie level alone and are a nutrient dense source of nutrients that you should include in your diet regularly. 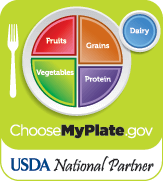 The Dietary Guidelines for Americans and the American Heart Association recommend eating a variety of nutritious foods from all food groups. Eating a variety of fruits and vegetables may help one control their weight, cholesterol and blood pressure. Avocados are a healthy nutrient-rich food that can help boost fruit intake. Plant based diets avocados contribute 1g protein per 50g serving, or one-third of a medium avocado, and are a great addition to a vegetarian style diet. Heart-healthy diets eating avocados can prevent the increase of bad cholesterol and reduce the risk of heart disease and stroke. 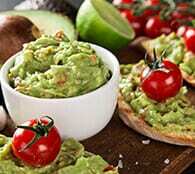 Avocados can be eaten as part of the DASH diet, which helps control blood pressure. Low sugar diets avocados are a sugar-free fruit option, and may help prevent an early preference for sweet foods in children. 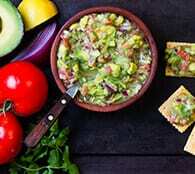 Weight management diets although they’re relatively high in fat and calories, avocados are nutritionally dense and their 11% daily value of fiber help you to feel full for longer. Healthy avocado makes a great substitution for bad fats and may also help the body absorb fat soluble nutrients like vitamins A, D, K and E. The Dietary Guidelines for Americans recommend a diet plan that substitutes good fats in place of bad, within moderation, to receive the nutritional benefits of dietary fat without raising bad cholesterol. As with all foods, it’s important to not overindulge and to follow a healthy eating pattern. This includes a healthy mix of vegetables, fruits, grains, dairy and protein. The table below illustrates recommended food intake patterns for children 9 years old and older and adults based off their calorie needs. More than 75 percent of the fat in avocados is considered “good” fat, with 5 grams per 50-ounce serving coming from monounsaturated fat and 1 gram from polyunsaturated fat. Avocados also contain 80 calories per serving and are free of cholesterol and sodium. Avocados are virtually the only healthy fruit with good fats and are a delicious way to help people meet the Dietary Guidelines for Americans’ recommendations to shift from eating saturated fat to good fats. enhance the nutrient quality of one’s diet. Why naturally good fats? Because the body needs some dietary fat in moderation to help with absorption of nutrients. Good fats do not raise LDL “bad” cholesterol levels. Healthy avocados contain 6g of naturally good fat per 50g serving, one-third of a medium avocado. You should now have a good understanding of why dieticians rave about the nutrition in avocados and why pretty much anyone can benefit from eating them regularly as part of a healthy diet. Don’t avoid avocados because they’re higher in fat and calories than other fruits. Avocados are truly a, “super food”, so you can enjoy that guacamole or avocado salad knowing you’re doing your body good. Avocados contribute good fats like monounsaturated (5g) and polyunsaturated fats (1g) per 50g serving, or one-third of a medium avocado. Avocados are a good source of fiber, containing 11% of the daily value and are a great way to add variety to the diet. Dietary fiber from fruit, as part of an overall healthy diet, helps reduce blood cholesterol levels and may lower risk of heart disease. What is avocado good for in the body? With 6g of naturally good fat per 50g serving, avocado is a source of good fats, fresh avocados can be part of a heart-healthy diet and lifestyle: they are low in saturated fat, and cholesterol- and sodium-free. 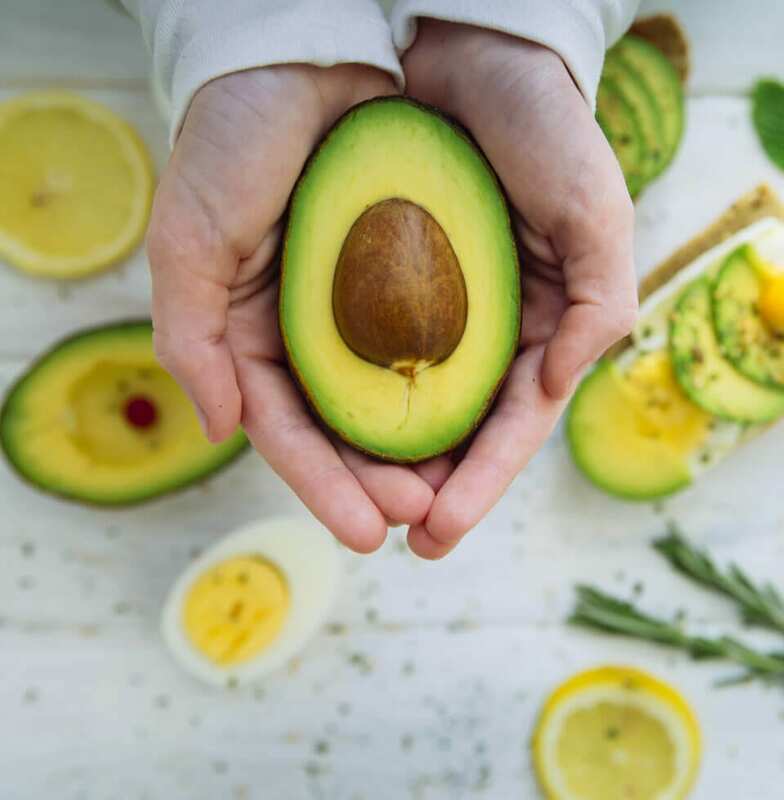 Dietary fat helps the body absorb vitamins A, D, K and E. Over 75% of the fat in healthy avocados is naturally good fat, with 5 g of monounsaturated fat per serving (one-third of a medium avocado). Avocado also offers 250mg (6% daily value) potassium per 50g serving (one-third of a medium avocado), a diet rich in potassium helps to offset some of the harmful effects of sodium on blood pressure. What avocados do not contain is also important - they are low in saturated fat and have no sodium or cholesterol. All these heart-healthy benefits are why the American Heart Association recommends making avocados a regular part of your diet. Spread avocado on your whole wheat crackers, and your heart will thank you! How many carbs are in an avocado? Avocado has only 4 grams of carbohydrate per 50-gram serving. What's amazing about their nutritional composition is that in contrast to almost every other fruit in the world, avocados are sugar-free. When eaten alone, they have the lowest quantity of sugar per serving than any other fresh fruit. That means their glycemic index or glycemic load value is negligible, so they don't lead to significant rises in blood glucose levels. How much fiber is in an avocado? Every 50 gram serving of avocado contains 3 grams of fiber, which is 11% of the recommended daily value, making them a good source of fiber. Diets rich in healthy foods containing fiber, such as some vegetables and fruits, may reduce the risk of heart disease, obesity, and type 2 diabetes. How much protein is in an avocado? A one-third portion of a medium avocado (50 grams) contributes 1 gram of protein. Yet, while avocados are not filled with protein of their own, they are a nutrient-dense way to enhance many protein dishes. They contribute nearly 20 vitamins and minerals per 50 g serving. Add avocado slices to your scrambled eggs, blend them into a yogurt smoothie, or stuff them with tuna salad. What vitamins and minerals are in an avocado? 4mg Vitamin C (4% DV): an antioxidant that encourages healing and facilitates your body's absorption of iron. 1 ug Vitamin K (10% DV): a nutrient that the body needs to stay healthy. It's important for healthy bones and blood clotting, along with other functions in the body. 250 mg Potassium (6% DV): a diet rich in potassium helps to offset some of the harmful effects of sodium on blood pressure. Carotenoids: avocados contain 136 micrograms of the carotenoids lutein + zeaxanthin per 50 g serving. Lutein and zeaxanthin are carotenoids which some research suggests may help maintain eye health as we age. Folate: avocados provide a good source of folate with 45 mcg (10% DV) per 50 g serving. Folate is important for proper brain function. Consuming adequate intakes of folate/folic acid may reduce the risk of birth defects and premature births when eaten by pregnant women. Are avocados Good for WEIGHT MANAGEMENT? Avocados are low-carb and a good source of fiber, providing 4g and 3g per 50g serving of a medium avocado. Dietary fiber bulks up your food, which makes you feel fuller faster. So, adding avocados to your meal will provide lasting satisfaction, which makes you much less likely to munch later on empty calories that hamper weight management efforts. In general, eating a diverse selection of nourishing fruits and vegetables can help with weight control, and avocados are a delightful way to add fruit to your day. Let's not lose sight of some other important features of avocados - they have a luscious texture and a delicious flavor that can be enjoyed plain or used to complement many foods!